PRICED TO SELL. Investor and developed take note. Highly desirable commercial land on major road. 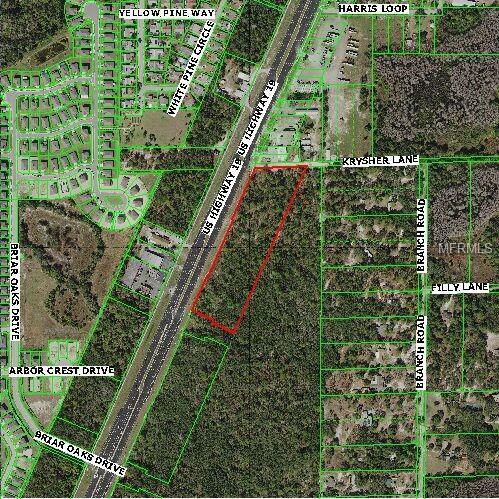 7.7 acre parcel with over 1,000-feet of frontage on eastern side of US Highway 19, a busy 6 lane highway. Located in between the rapidly developing area of West Pasco and Spring Hill, this parcel would be ideal for retail, automobile dealership, restaurant or other commercial needs. Additional 6.6 acre parcel available for a total frontage of approx, 1,923-ft and 14.3 acres on US Hwy 19 (separated by access road). Both parcel are flat, high and dry for reduced development costs.